From businesses to family gatherings, we provide custom printed t-shirts for any occasion. Don’t get fooled by the expensive, cheap quality, t-shirts at the mall. We provide the highest quality inks and t-shirts at affordable prices. Pick from a wide range of available t-shirt styles and fabrics such as ring-spun cotton, heavy cotton, polyester, and many more. Our custom printed t-shirts are created based on your input. You select the t-shirt style and color. Then you work with our graphic designer to create your design. Once complete, we then print your design onto your selected t-shirts. After printing, each t-shirt is individually checked for quality control. Then all t-shirts are packed and wrapped and delivered to your front door. Have your seen other companies or teams wearing one? 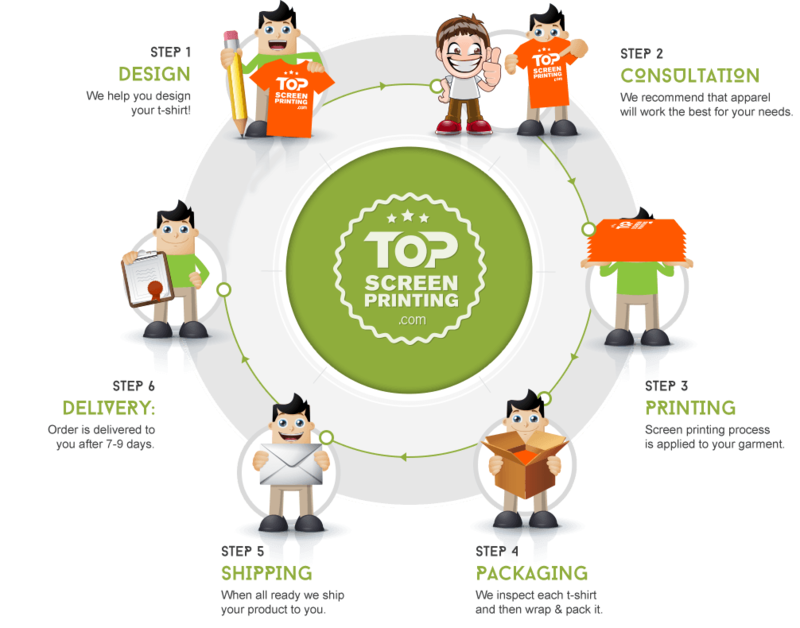 Let us help you create your very own custom printed t-shirts. We have worked with churches, small mom and pop stores, organizations, businesses, groups, musicians, to basically anyone who is looking to have a unique custom printed t-shirt. All of our customers love our simple process and are amazed at the end result. Let’s work together to create your own unique t-shirts. If custom printed t-shirts are not what you are looking for, then please take a look at our selection of other products such as custom printed hoodies, tote bags, or hats.